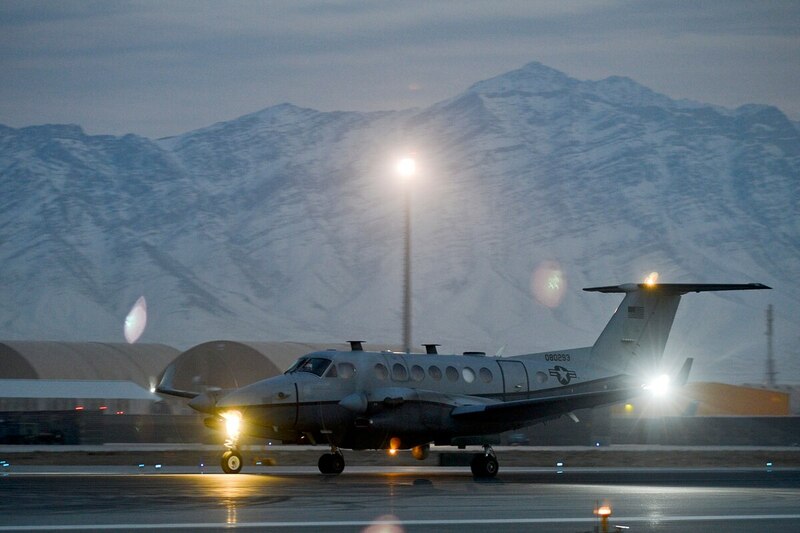 War game: If China or Russia downed an ISR aircraft, how would the US really respond? Will the rise of drone warfare unintentionally drag the world into more conflicts? That’s what some pundits and policymakers have cautioned in the past, arguing that the absence of human pilots will allow military leaders to take on riskier missions without suffering political blow-back from losing crewmembers if a mission goes awry. A war game held at MIT Lincoln Labs and Harvard University in September 2017, however, challenges that assumption. The study makes the case that drone warfare could decrease the likelihood of conflict between states, as military planners will avoid the trap of escalating military options if an aircraft is lost. 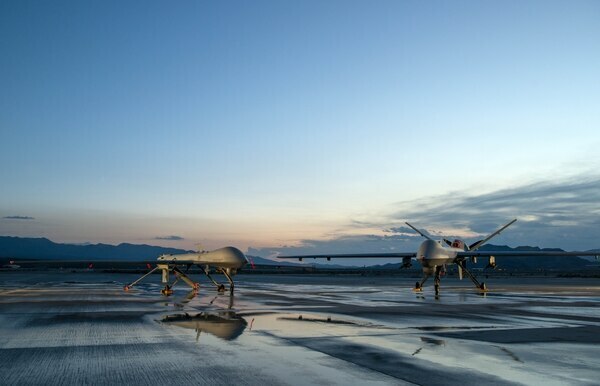 Here’s a hypothetical scenario: An American MQ-9 Reaper drone is cruising over European airspace — perhaps monitoring a military buildup near Ukraine’s Donbass region or scouring the Russian enclave of Kaliningrad on the Baltic Sea. 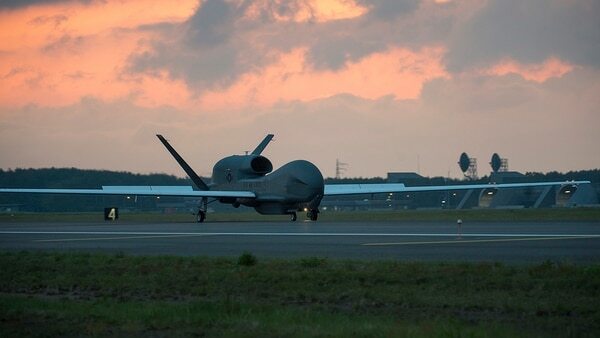 The drone remains in NATO airspace, but the corridors are tight. Its flight path runs close to Russian territorial borders. One hour into its mission, Russian armed forces down the Reaper using an SA-8 Gecko surface-to-air missile. Some of the wreckage lands in Russian territory and is proudly displayed on Kremlin-sponsored television as evidence of the West’s incursion. The players in the scenario are interchangeable. It could be a peer adversary like Russia or China, a regional power like Iran, or, as was the case in the actual war game, it could involve fictional countries altogether. Regardless, the war game participants must present retaliatory options for leaders up the chain of command, said Erik Lin-Greenberg, a former active-duty Air Force intelligence officer and current PhD candidate in political science at Columbia University who authored a research paper on the war game. In the 2017 study, Lin-Greenberg randomly assigned 28 participants with military experience to seven teams. All teams were exposed to the same shootdown scenario. 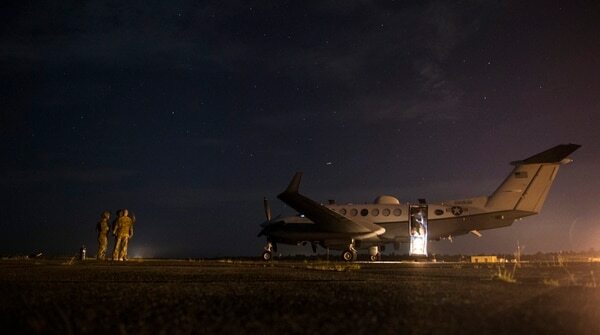 But some were told the downed aircraft was a drone, while those in the three control games were told the aircraft was a manned MC-12 Liberty whose four crewmembers were killed. “The gloves are off," a U.S. Army colonel said. “This represents a conflict. If they shot down our service members, we retaliate," according to one U.S. Air Force officer. All three teams presented with the loss of U.S. airmen approved strikes on the fictional nation’s forces. Two of those teams also deployed troops into enemy territory to retrieve wreckage and the crew’s remains. The teams who lost the unmanned drone, meanwhile, were much more restrained. “Teams often treated drone shootdowns in a relatively blasé manner, flippantly discussing how to handle the lost aircraft,” Lin-Greenberg wrote in the paper. None of the four teams that lost drones escalated by launching military strikes, but all believed some response was warranted. After all, failing to take action could give the adversarial nation a win, put U.S. resolve in question, or inadvertently invite a future attack. Lin-Greenberg said that when he has interviewed U.S. military officers for his research, they often talk about how they’re not willing to lose assets. “But their decision-making calculus might be a little different when you put them into a simulated context," he told Air Force Times. There are plenty of real-world examples for situations like this. For instance, in 2012, Iran reportedly attempted to shoot down an MQ-1 Predator over the Arabian Gulf. The Iranians also chose not to escalate, or at least not to be emboldened after they got away with firing at the drone. “They’ll still maybe harass Predators and Reapers, but they still haven’t tried to shoot down a manned aircraft. In their minds, they recognize that there’s this difference between a manned asset and an unmanned one," Lin-Greenberg said. The U.S. also tends not to publicize the loss of drones. Drone shootdowns offer a huge public relations victory for the aggressor state. But if it’s not acknowledged at all, the U.S. can ignore the situation and avoid even having to respond in a way that would be politically impossible were a human on board. War games with drones are important, as the platforms are expected to only grow in use. “By the end of 2014, twenty-seven countries possessed ‘advanced’ drones, defined as UAVs that can stay in the air for at least twenty hours, operate at an altitude of at least 16,000 feet, and have a maximum takeoff weight of at least 1,320 pounds,” researchers Michael Horowitz, Sarah Kreps, and Matthew Fuhrmann wrote in a 2016 MIT Press Journal paper on drone proliferation. Even in the U.S., the country with arguably the most advanced drones, there is always talk about what drones can do next. However, there are still situations in which a commander may choose a manned platform, even if the drone could do the job. In another scenario not included in his paper, Lin-Greenberg asked participants to plan a show-of-force mission after a rogue nation launched an intercontinental ballistic missile against the wishes of the international community. Between the choice of a B-2 bomber and an unmanned variant with similar characteristics, participants sometimes chose the manned bomber because it showed “skin in the game." One lingering question is whether this study’s results also apply to officers from rival powers. How would a Chinese or Russian military officer respond to a shootdown of their own drone or manned aircraft? Domestic and international political situations would play a major role. The Chinese Communist Party, for instance, manages media to a great extent within its country. If the party was preparing for an aggressive response against the shooter, it could prime the population with nationalist rhetoric in official newspapers. China aims to defeat the US Air Force without firing a shot. Here’s how. A new study is highlighting China’s growing air power, and warning the U.S. Air Force to keep an eye on the rival air service. That means, at least on the surface, China’s response to the loss of a drone or even a manned aircraft could be extremely measured — if the Communist Party wants it that way. Lin-Greenberg hasn’t done this study with foreign military officers, but his impression has been that there is a commonality across the board when it comes to escalation concerns. “I had the opportunity to meet a retired senior [People’s Liberation Army] officer ... basically a one-star equivalent," Lin-Greenberg said.